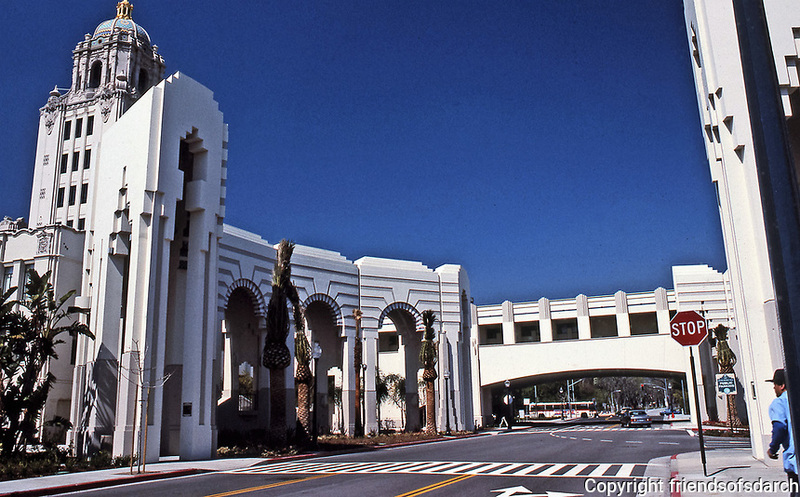 Beverly Hills Civic Center, designed by Charles Moore, is a mixture of Spanish Revival, Art Deco and Post-Modern styles. It features courtyards, colonnades, promenades, and buildings, with both open and semi-enclosed spaces, stairways and balconies. Completed in 1990. Photo July 1991.